Anytime I need to cool it on shopping for a little while, I like to shop my own closet and restyle items I already have! When I purchase anything at all I try to think of at least 3 different ways I can style a piece, and with some items there are way more than 3 ideas. 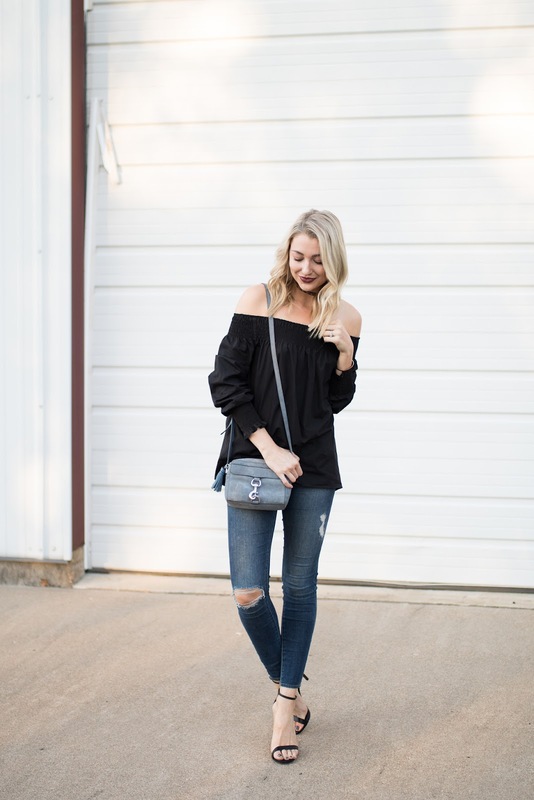 Since off-the-shoulder stuff has been in for awhile and doesn't seem to be going anywhere anytime soon, I consider them a wardrobe staple, especially in black or white! These are all pieces I've had for 2-6 months but just styled together for the first time. 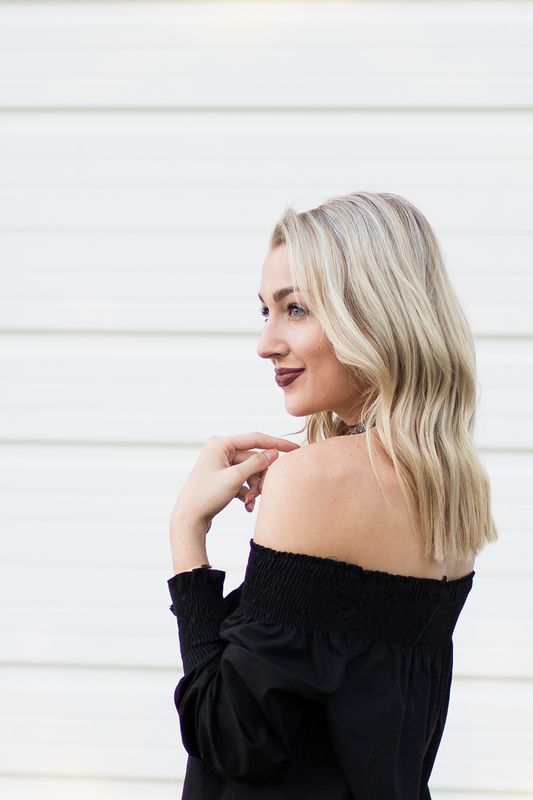 Also, I talked about my lip color on my Instagram story Saturday, but wanted to share in today's blog post as well! It's only $6 and is the perfect deep berry shade for fall. I also really like the texture! It's more moisturizing than a true matte lip cream, but still stayed in place for hours.